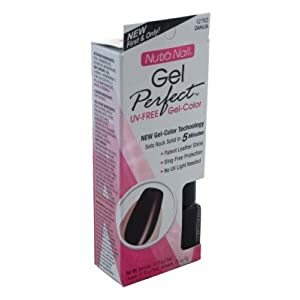 I bought Nutranail Gel Perfect at my local grocery store last month and was thoroughly unimpressed with it. It only lasted two days on my fingernails before it chipped. The Nutra Nail people thought that adding nail glue to the polish process would make it last as long as a “real” gel manicure, but instead, it just makes the polish brittle and chip as soon as your nail bends under pressure. I don’t usually do bad reviews, but this product was so expensive and so worthless that I planned on at least mentioning here that it was a problem, but then I promptly forgot. Luckily, YaYaLifestyle on YouTube mentioned it on her recent regrettable purchases. You can see her review here. I agree with everything she said and feel lucky that my polish lasted a day longer than hers. On a more positive note, I’m extremely happy with the Sally Hansen Salon Effects polish strips. I tried them in this Are You Single? style because they were on sale at my grocery store (ironically on the EXACT same shelf where the Nutra Nail Gel Perfect had been displayed). They looked like a fun thing for Valentine’s Day, so I thought I’d try them, fully expecting them to fail me just as others had in the past. I applied them on Saturday 01-28-12 and they are still going strong a week and a half later. This picture was taken today and as you can see, I will end up having to remove them because my nails have grown out, not because of chipping or wear. There has been some wear on the tips. It’s about the same wear as I would have when I had artificial nails and my manicure would last two weeks (or more). I used to get artificial nails just so I wouldn’t have to keep polishing my nails every three days. 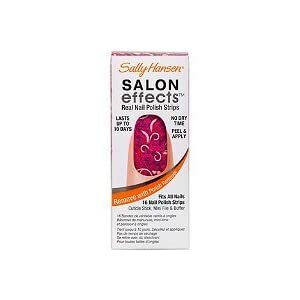 Now, Sally Hansen Salon Effects is my new saving grace for great nails. One note, I followed the instructions to the tee, right down to using nail polish remover on my nails right before applying the strips. I really think that removing every trace of oil from my fingernails has helped them stay on as long as they have. 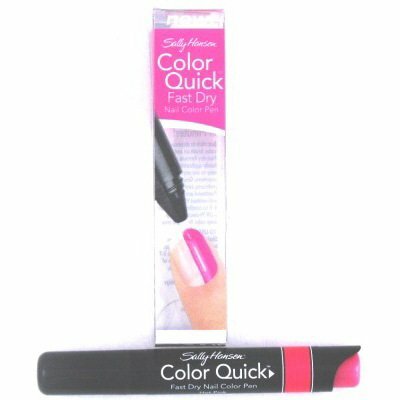 If you are looking for a manicure to last you as long one you might get at the salon, go with the Sally Hansen Salon Effects and leave the Nutra Nail Gel Perfect on the shelf. Most of the refillable palettes available today are FAR more expensive than I am willing to spend with the compact costing twenty dollars and the eyeshadows in the price range of five to fifteen dollars apiece. Imagine my delight and surprise when I found and EXTREMELY affordable compact and refillable eyeshadows at Target. They are the elf Refillable Custom Eyes eyeshadows. The compact cost ONE dollar and each eyeshadow is only ONE dollar apiece! I could hardly believe my good luck! There were a wide variety of eyeshadow colors, although they did not have any bright colors like blue, green or purple. I tend to be dramatic with my eyeshadow, so I was disappointed by the nearly neutral selections. If you notice, they also have blush and lip glosses that will fit into the same compact (which weren’t available at my Target), so you have the option of creating a palette for nearly all of your makeup needs. I’ve never tried elf Cosmetics, but I am sincerely tempted by this Custom Compact set. When Stacey and I were children, we had a pile of junk jewelry at my grandmother’s house that she allowed us to play with. In the collection, was a poison ring. It was a toy that was featured in much of our play. 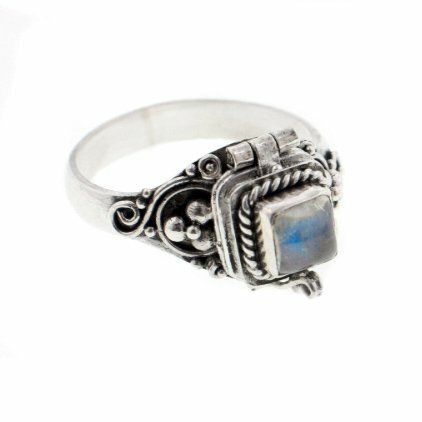 Tea parties, playing restaurant and even when we played newspaper agency, the poison ring was a coveted piece of our fantasies. Not a day went by without one of us being “poisoned,” and usually both of us were. We never actually PUT anything in the poison ring. I just opened it up and pretended that poison came out into Stacey’s drink. Who needs poison when you have a POISON RING?! It all made perfect sense back then. After Grandpa died, his family descended upon the house they had never visited during the nearly forty years that my grandparents had lived there. Much of what Stacey and I found beloved was sent away to estate salesmen and appropriated for that side of the family. We were allowed to take the remainders that they deemed not worth the time to sell. I was lucky enough to get my bedroom set, my bike and my toys. All of the junk jewelry in the toy box was gone when I was allowed to claim my inheritance. I never asked about it, but I still regret the loss of my poison ring to this day. So, I thought I would try to buy myself a poison ring. Ever since Lady Gaga poisoned her boyfriend in her music video, Paparazzi, I thought that maybe poison rings might be making a comeback. Unfortunately, I made the mistake of trying to buy a solid perfume ring instead of just searching for a poison ring. I bought the Kat Von D Solid Perfume Ring and the Michael Kors Solid Perfume Ring, thinking that I could keep my favorite for myself and give the other one to Stacey. Based on the pictures online, I imagined that they would be about as big as my grandmother’s old poison ring. 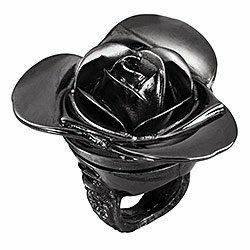 I’d be able to use the perfume and when I was done with it, I’d have an updated poison ring. I was so excited when the box hit my doorstep. The dog was barking at the UPS driver while I opened the box in anticipation. I expected to like the Michael Kors ring the best and give the Kat Von D ring to my sister. THE RINGS WERE HUGE!!! Not just huge, COMICALLY huge!! Just look at them!! They definitely would NOT do! If I walked into the Russian Embassy, not even my press pass would help me escape if the evil Russian ambassador was found poisoned. They’d take one look at my ring and KNOW I poisoned him!! Heck, I couldn’t even close my fingers around the Kat Von D ring!! The sheer weight of it was cutting off my circulation! I nearly cried as I packed them back up to be returned, and then I realized that I could look on eBay and Amazon for POISON rings instead of trying to get a solid perfume ring to do my bidding. I may never find a poison ring like the one Stacey and I “killed” each other with so many years ago, but I can find a tasteful replacement ring with a “deadly” secret. No one will know that it was me, not even the dead Russian ambassador! For fun, here is the Lady GaGa video, Paparazzi. Enjoy her very own poison ring scene at the 6:02 mark. 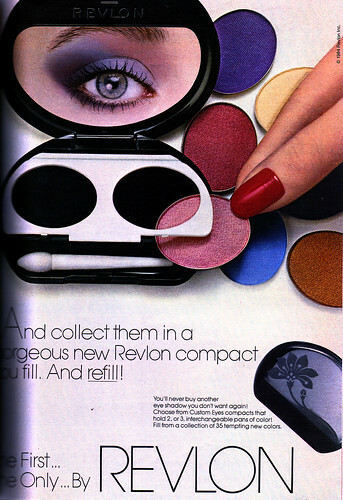 A while back, I reminisced fondly about Revlon Custom Eyes refillable eyeshadow makeup kits. It looks like another company has come up with a replacement for my beloved Custom Eyes. 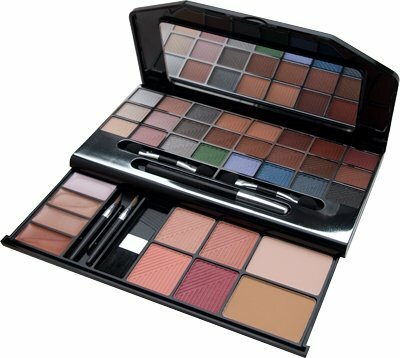 Make Up For Ever has created the Make Up For Ever refillable palette. Sephora: Make Up For Ever Free Palette Offer: It says it’s a limited time offer, but it doesn’t say when it expires, so be warned. My problem with Make Up For Ever is that the eyeshadow and blush refills are so EXPENSIVE!! Each eyeshadow is twenty bucks! That was another thing that I loved about the Revlon Custom Eyes. The refillable palette was about five bucks and then each eye shadow was a couple of bucks apiece. You can’t convince me that Make Up For Ever eyeshadow is worth $18 MORE than Revlon eyeshadow. It’s the same trouble I had with the Mary Kay refillable palette. Years ago, I bought a couple of makeup palettes from Mary Kay. Aside from the irritating issue of having to order the makeup through some flaky stay-at-home mom who never returned my calls, refilling the palette just never seemed worth it. When I wanted a new color of eyeshadow, I ended up buying an entire makeup kit from Sephora rather than call my Mary Kay “Specialist” back. Even worse, they have since CHANGED their compacts, so if I want to replace the eyeshadow, I can’t. I have to buy their new compacts. Fortunately, through the power of Amazon, I don’t have to deal with an “Independent Beauty Consultant” and I can just buy what I want online. Although not as expensive as Make Up For Ever, Mary Kay products are still kind of pricey compared to Revlon, Cover Girl or Maybelline. Even the cheap makeup companies make refillable palettes. For example, this Color Workshop makeup case came with several palettes to put into the case. I couldn’t swap out individual eyeshadows and blushes, but I could change to a different palette using the four that the case came with. I saw a similar set at WalMart in their gift aisle just this year. In the end, I have never found a refillable makeup palette as good as Revlon had in the Eighties. I’m sure they still hold a patent on Custom Eyes. 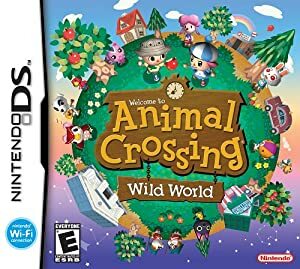 I wish they would revive it and make my day! Update 12-29-09: It looks like Stila also makes refillable compacts in sizes of three, four and six pan sizes. STILA Pon Pon Gerbera Eye Shadow Trio 3 Pan Compact NIB – eBay (item 280419753193 end time Jan-04-10): This 3 Pan Compact comes with three eyeshadow pans as well for only $12. Good deal if you like those shades. Stila Refillable 4 Pan Compact at Amazon.com: This palette is sold empty and you must buy the eyeshadow and blushes separately. 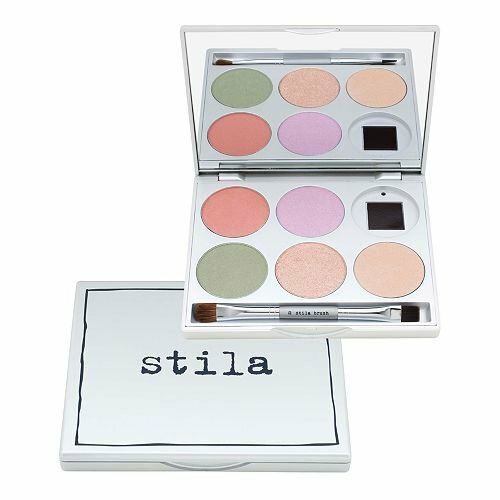 Stila 6 Pan Compact at Amazon.com: This palette is sold empty and you must buy the eyeshadow and blushes separately. The eyeshadow and blush pans are held in place with magnets, which is an ingenious twist on the refillable palette market. 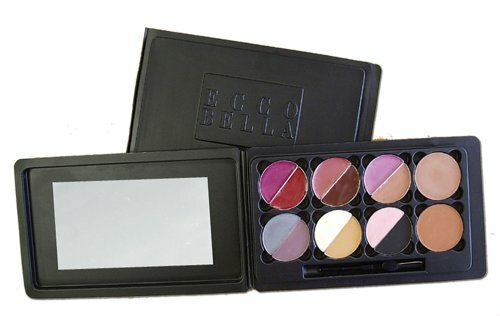 Ecco Bella Elite Collection Compact at Amazon.com: This palette comes with shades that can be used alone or layered to create the perfect look for any occasion. Full-sized product can be removed and then placed into our Paperback Duo Compact for retouching on the go. Ecco Bella Refillable Paperback DUO Compact at Amazon.com: Sold empty for use on the go with the Ecco Bella shades. These may be pretty, but the replacement eyeshadows range in price from $18 to $25 a piece, so they seem very overpriced. As if Vibrating Mascara wasn’t enough, now Dior has “blessed” us with their “Magic Wand” for their Lip Addict lip gloss. The Magic Wand is a spinning wand that helps you apply your lip gloss. The Lip Addict lip glosses used to have a brush to apply the gloss, but the Magic Wand is a doe foot sponge. I personally prefer the doe foot sponge for lip gloss, but there seems to be a bit of a controversy in the makeup world split along the lines of brushes versus sponge applicators. Dior is taking a risk of losing their faithful brush customers by switching to the doe foot sponge. The Lip Addict glosses have always cost between $27 and $30 depending on where you shop and Dior hasn’t changed the price since they have added the amazing spinning Magic Wand. This merely seems like a marketing ploy to get people interested in buying their lip gloss and be willing to fork out thirty bucks for it. When I tried the original Lip Addict at the Sephora store, I wasn’t impressed enough to spend thirty dollars on it. It reminded me of Wet and Wild lip gloss, except they had a brush instead of a sponge applicator. I can buy Wet and Wild lip gloss at any drug store for two bucks, so it felt like I would be paying an extra 27 dollars for the Dior name and a floppy plastic bristled brush. Both brands use numbers to name their colors instead of names. Both brands have a lip gloss that feels about the same. Why is Dior’s so much more expensive? Now that they’ve added batteries and gadgetry, does the Dior price tag fit? For me? No. I DON’T want makeup applicators that vibrate or spin. It’s hard enough for me to put on lip gloss without having to navigate the difficulties of moving parts as well. I wasn’t willing to spend thirty bucks for two dollars worth of lip gloss before and I’m even LESS inclined to do so with a spinning Magic Wand thwarting my early morning routine. 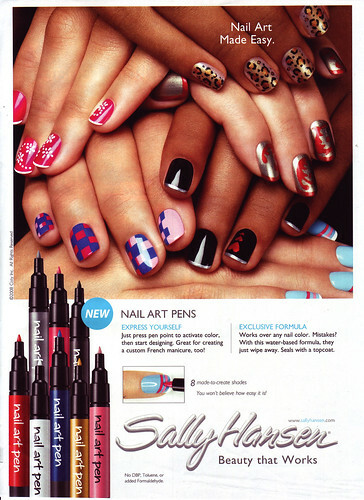 I saw this ad for Sally Hansen Nail Art Pens. Nail polish pens have been around since the Eighties, but they have never caught on. They still sell the kind of nail polish pens that they made back then. They’re called Color Quick Nail Pens. 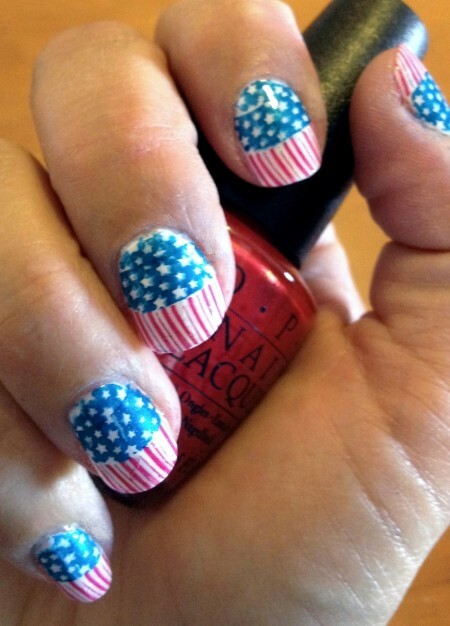 They have a broader tip than the Nail Art Pens. My biggest problem was getting the polish to come out smoothly so that I wouldn’t get streak marks on my nail. Maybe Sally Hansen has solved that problem, but I just don’t think so. I think the Nail Art Pens are flawed because it’s just REALLY hard to draw something on your own nails. Even this photo from the actual advertisement shows how awkward they would be to use on yourself. 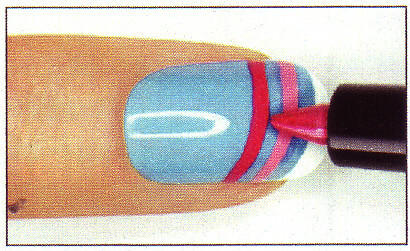 See how you would have to hold the pen just to put something on your nails? I just can’t see these Nail Art Pens working very easily. 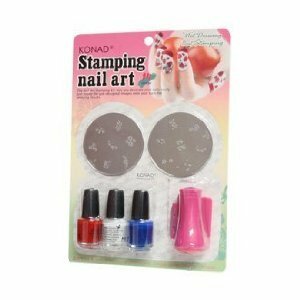 The best bet for interesting nail art are the Konad Stamping Nail Art sets. I have a nearly complete set and I just LOVE them. Instead of a stencil that is easy to screw up, these sets have metal plates. I did a lacy pattern on my nails by using white and stamping several times with the same image. It took me less than a minute to do each nail and it looks VERY professional. 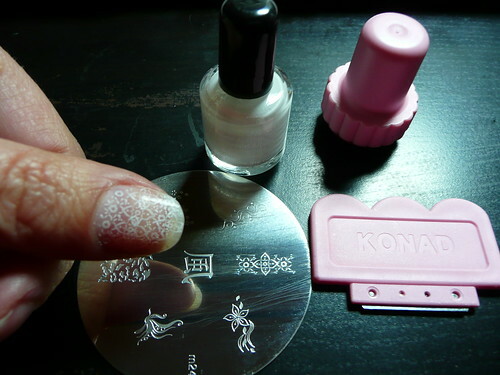 If you are tempted to do nail art, I’d skip the Sally Hansen pens and just buy all the metal image plates from Konad. I can’t believe how well the plates have lasted these last three years and they work as well now as they did then. I’ve been REALLY happy with them! Considering how gadgety makeup can be, I’m surprised that more men AREN’T into makeup. Sure, there was a run of guys in makeup in the Eighties and we still have our spurts of guyliner on the rare recording artist or two, but mostly, makeup has been completely ignored by men. If there is ANYTHING that takes me to gadget heaven faster than a makeup kit, I don’t know what it is. There is something about the transformer-like appeal of some of these kits. 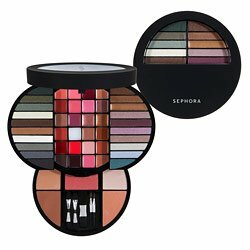 Recently, I bought the Sephora Deluxe Palette pictured here. 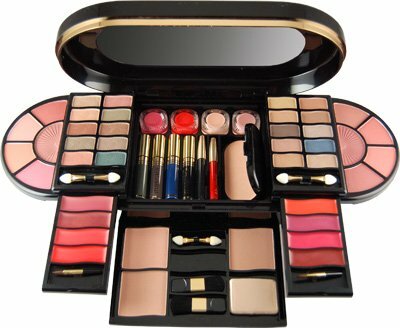 Even though I like my own makeup, I find myself wanting to use this kit. It’s not just for travel. In fact, it’s too bulky for travel. It’s just a great set of makeup that comes in a box that opens up in a myriad of different ways. Sephora isn’t the only brand of makeup that packages their kits with style. Check out this BR Make Up Kit # 682. 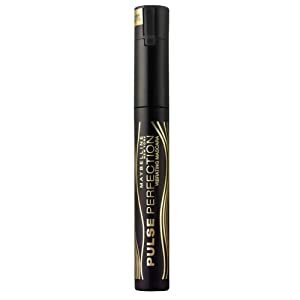 With eyeliners, mascaras and even face powder, this could be the only makeup that you carry. The risk with these sets, of course, is sub-par makeup and colors that you don’t like. That’s why I like the Sephora kit because the makeup is really good quality. With many kits, you get TINY little brushes to use. That’s why this kit from Malibu Glitz is appealling to me. It has a set of nearly full sized brushes in the bottom compartment. Anyone who has tried to put on blush or face powder with the tiny brush from a makeup kit can appreciate a full-sized set of brushes. Of course, you can always get a Sephora Face & Eye brush set and enjoy the benefits of full sized brushes without even using the brushes in the kit. Of course, makeup kits can be simple and elegant like this Cameleon BR Make Up Kit. Just a few eyeshadows, blushes and glosses tuck into your purse for every day use. Mary Kay makes a completely customizable makeup kit called the Mary Kay Compact Pro. The only problem with it is that by the time you buy the compact and all the makeup to fill it, you end up spending hundreds of dollars (compared to the very excellent Sephora kit for only forty bucks). Many times I’ve played with the Mary Kay website and ALMOST ordered a Compact Pro only to close the browser window without finishing the order because the cost is just too exorbitant. 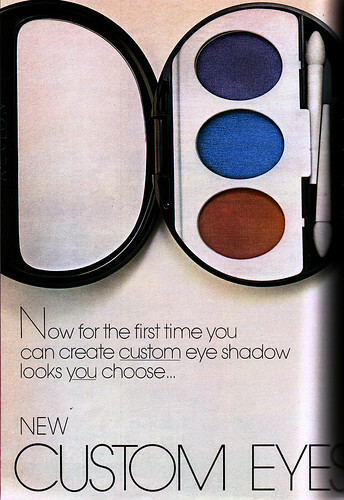 In the Eighties, Revlon made the ABSOLUTE BEST makeup kits called Custom Eyes. They sold eyeshadow cases that could open up. You could choose your favorite eyeshadow colors (bought separately) to go into the case. Completely customizable. I found an ad for them in an old Seventeen Magazine. To this day, I still own these eyeshadow cases. The eyeshadow is long used up and Revlon doesn’t make replacements for it anymore, but I cling to these cases as the epitome of what makeup kits should aspire to.